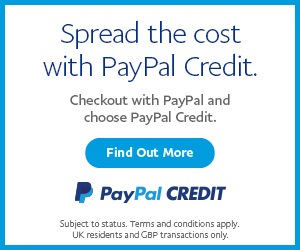 UKAA offer a worldwide shipping service. 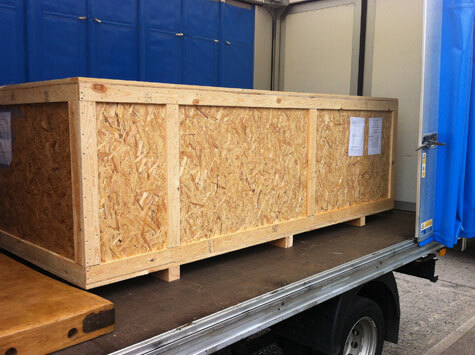 We are very experienced at handling, packing and shipping the most delicate of items to your door safely. 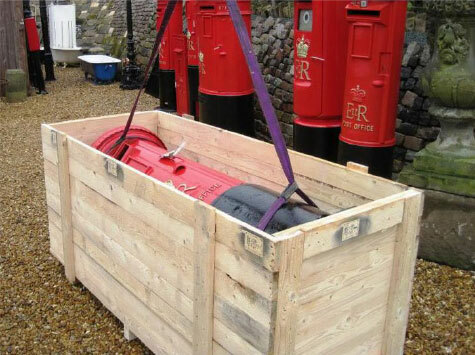 We use a variety of methods to get the goods to you - Postal services, dedicated couriers and a pallet service. 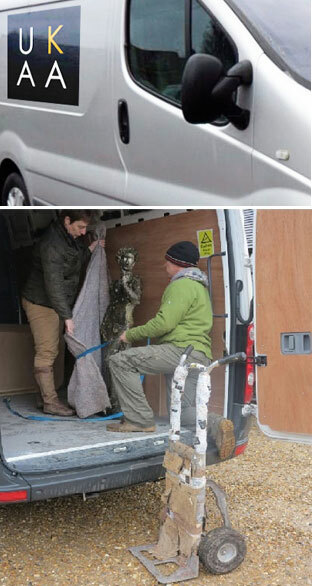 The dedicated couriers that we use are experienced at handling antiques and they handle them with the utmost of care. A two man team can also be arranged for heavier items. All our shipping services are insured and tracked. You are most welcome to arrange your own collection from our yard. We will assist with loading, please call the office to discuss. For all of our smaller items we use the Royal Mail and all of the major small parcel companies. We use this option for items such as radiator valves, door furniture and small antiques. For larger items we deliver by courier. Please see indiviual items for accurate courier charges. so it is ready to leave for its new home. All items are delivered by experienced and careful couriers who specialise in the delivery of antiques ensuring that all your purchases are delivered swiftly and safely. 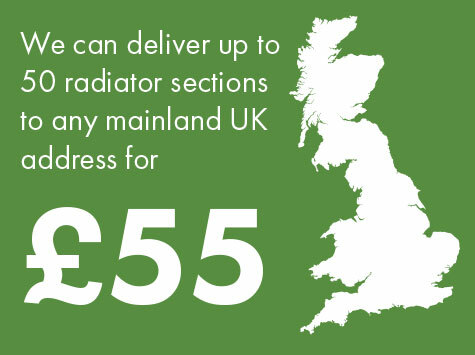 For our radiator deliveries we use the pallet network system, and we can deliver up to 50 sections to mainland UK for £55. This service is cost effective, speedy and ideal for the delivery of cast iron radiators. A typical pallet delivery is shown below. The driver will have a tail lift and a pump truck for your convenience and will get as close as possible to your property. 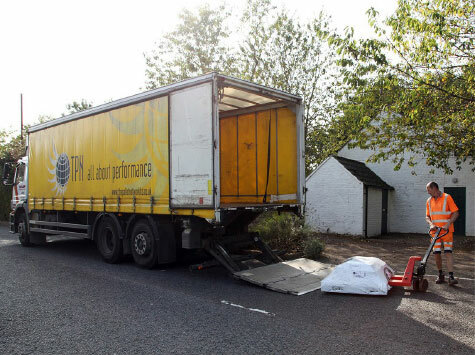 This is kerbside delivery only. For europe and the rest of the world we use a professional packing and shipping service, which is fully insured and tracked. Shipping can be arranged direct to your door or to your nearest port. For a shipping quote please send us your full address including zip/area code.